News from LMCU: We have a winner! 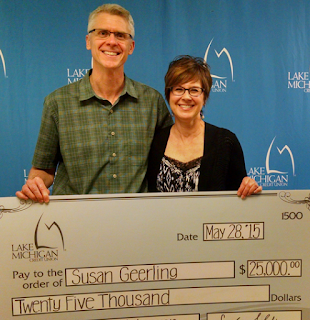 Congratulations to our $25,000 Home Makeover Sweepstakes winner Susan Geerling!!! Sue was surprised, amazed and very excited to have won…she and her husband Mike had been planning on some home improvements a while back but ended up helping out a family member so they put off the home improvements…until now. She was randomly drawn out of 201,434 entries! Sue is an LMCU member and lives in Grand Rapids.